In this webinar we will discuss current vulnerabilities to control system cyber assets and resources to protect. Specifically Matthew Luallen will describe a new hands-on laboratory portable kit to understand control system vulnerabilities and successful mitigation techniques. 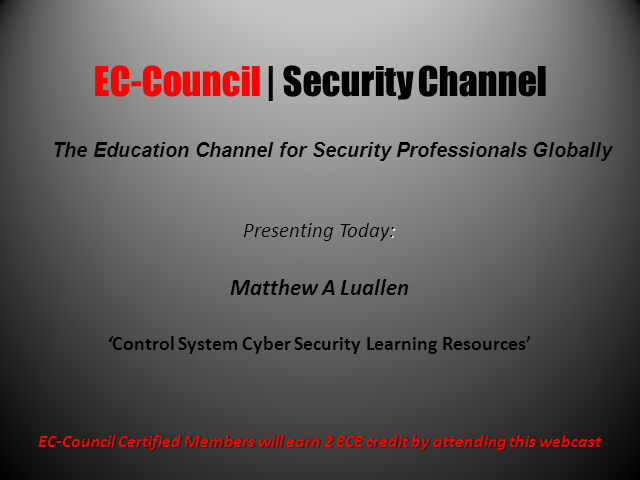 Matthew will also describe a new mindmap resource linking several control system cybersecurity resources from many sources (DHS, DOE, DoD, DISA, AFIT, US-CERT, US Congress, EU, JPCERT, AUSCERT, NERC, EPA, and several other public and private organizations).